I never really paid much attention to Instagram until a few weeks ago. As a photographer, that was a mistake on my part, but I'm active on Instagram now. Please feel free to follow me on Instagram. I have around 300 followers as of this post. But I've done it the right way and have NOT bought followers which I think is a dumb idea to begin with. It's not about the quantity but the quality. I stated the number of followers above to put the number of likes in perspective. I've found that most of my posts get between 20 and 30 likes on a consistent basis; however, the iPhone image on the left above of my camera on a tripod currently has 98 likes and the professional image (taken with my gear on the left) currently has 34 likes. Interestingly enough, I have found that my PHOTO GEAR posts, often taken with my iPhone, tend to get more likes than my professional work. 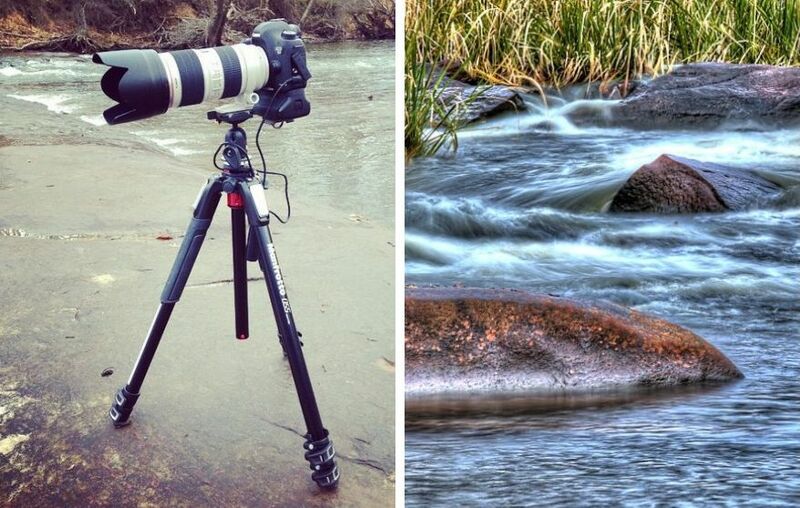 I guess people just love seeing photo gear that makes their senses say, "I want that." With Instagram being very much a mobile focused platform, phone images look great when viewed on a phone. The larger images above do not look bad even on a desktop; however, if both images were enlarged to poster size, there would be a notable quality difference. However, on Instagram, I am not convinced that it's about the quality of the image as much as it is about what appeals to the viewer and/or the creativity of the shot. If you are a photographer, keeping all of the above in mind, just remember that you don't always have to post your greatest work. It is OK to post phone images. However, that's up to you as a photographer. I have noticed that some photographers seem to only post their pro work while others (like me) mix it up. In my case, I even post a few images taken on film ( yes, film). You may be surprised at the images that get the most likes. Try it out for yourself and see what happens.